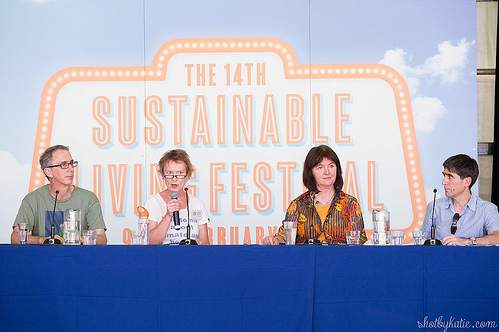 The Climate and Health Alliance hosted three very successful events at this year's Sustainable Living Festival in Melbourne - a Climate and Health Clinic; The Heat is On - a forum on climate change, health and extreme heat; and Our Uncashed Dividend - a session on the health benefits of climate action. Professor David Karoly, Fiona Armstrong, Dr Liz Hanna and Dr Tony Bartone. By shotbykatie. A full report, more photos and a blog featuring some of our marvellous volunteers coming soon!